When you are deciding on an ecommerce platform there are several things you need to consider. For a start it should have the features that you need – inventory control, the right payment methods, and the right shipping options. If you do not have a lot of technical skills (or money to hire them) you will need a platform that is easy to set up. And regardless of your technical capabilities you will need a platform that is easy for your team to use. So to help you make your decision easier, here is a comparison of three of the top ecommerce platforms: Prestashop vs Agoracart vs TomatoCart. These names sound like some weird ancient Roman gladiatorial food fight where slightly drunk combatants enter a pit to throw vegetables and baked goods at each other until they can’t take it anymore. 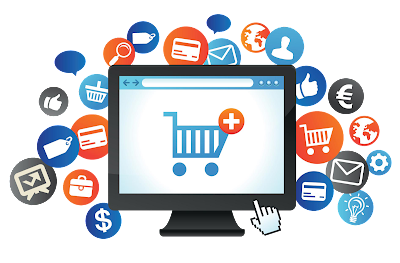 But the reality is that all three of these ecommerce platforms are powerful solutions for online stores. Let's go through each one of these in a bit more detail. First, the features included in the basic Prestashop set up are impressive. Calling it a basic set up does not do it justice because of this. In fact the majority of users will need nothing more than the free Prestashop software. To start with you can have as many or as few products and categories as you want. This means Prestashop works on big ecommerce sites and on sites with just a handful of products. You choose how to display your products and you can implement handy marketing tools like cross-selling and product comparisons. Stock management is also easy with Prestashop. This is all free but if you need specific functionality you can purchase add-on modules. Here is an example: Prestashop has a cool and time saving feature that allows you to export your products to Ebay with a few clicks. It comes as standard but you might also want to export your products to Amazon or Google. That is possible providing you buy an additional module. Finally Prestashop is easy to use. You do not even need web development experience in order to get up and running. Plus managing it and showing your team how to use it is straightforward. AgoraCart is another powerful and popular ecommerce platform that is packed full of features and functionality. This includes unlimited products, unlimited categories, customizable design and a variety of payment options as standard. And just like Prestashop it is free. There is one main difference which some people will regard as a positive while others will see as a negative. It is possible to extensively customize AgoraCart in order to make your shop look exactly the way you want it to and perform the way you want it to. This is ideal for developers. But the downside is AgoraCart is a bit harder to set up than Prestashop and it is not as user friendly. You gain in flexibility but you lose in ease of use. There are shop templates designed to overcome this and get you set up quickly but Prestashop does this better. AgoraCart, on the other hand, is one to consider if you plan to get into the code. But this only applies if you are happy with the standard features. If you want more you might encounter a problem because there is a downside with TomatoCart – it has fewer add-on modules available than some of its rivals. This is not a problem for the majority of users but it is a limiting factor for others. So the summary is Prestashop is the best all-round ecommerce platform available. Some people complain about the cost of some of the modules but that is fair given how much is included for free. AgoraCart and TomatoCart are also good which is why they are also popular. But Prestashop remains a couple of steps ahead.